GE has just unveiled a new two-stage version of its turbocharged gas engines which will give them higher output and efficiency. 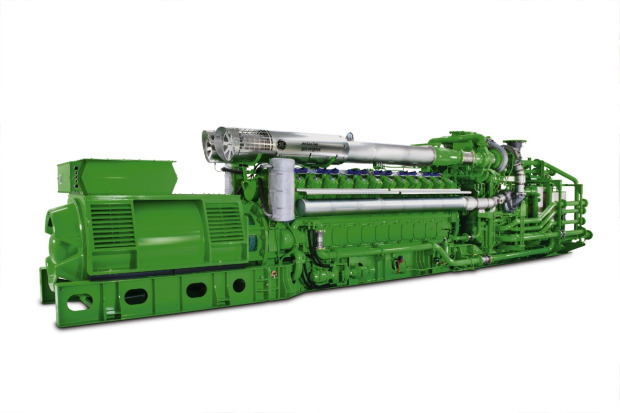 The technology, which will initially be fitted to the firm’s existing Jensbacher 624 gas engines, is aimed at low-energy projects that power CHP applications in hot and humid countries. The first to pilot the two-stage Jensbacher is Dutch market garden firm Red Harvest, whose owner appeared at the launch, in Jensbach, Austria, this morning. The system, which can be used to provide combined heat and power to housing developments, decreasing the world’s dependency on oil, was developed alongside specialists from ABB Turbo Systems, and can pump out 4.4MW, and increase electrical efficiency by 1%. In short, it’s the kind of thing you want to see adopted by builders of new housing developments–as well as being taken up by the authorities to put in schools and government buildings. The two-stage technology could bring down individual fuel bills by as much as 10%, reducing CO2 emissions and even, in some cases, earn users a bit of extra cash by selling on the electricity generated to the local electricity grid. Although the new engine will not be available until 2011, GE is expecting to adapt it to fit all sizes of its gas engines eventually, meaning that the tech will be small enough to be installed in individual homes. Eventually, the engine will work on natural gas fuel as well as non-natural gas fuels.